Expanding the usability of your home and workspaces has never been easier. 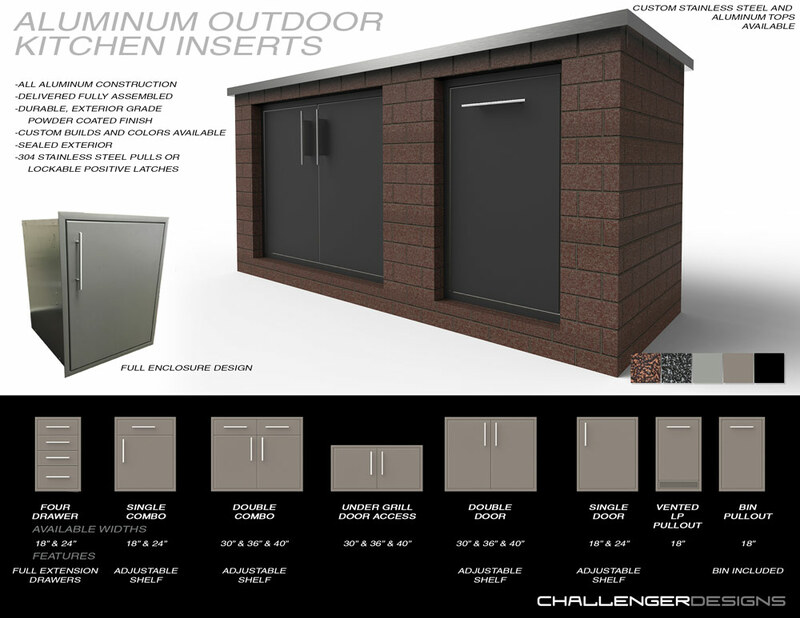 Challenger Designs creates turnkey solutions to transform small spaces into functional work areas and irresistible entertainment zones. 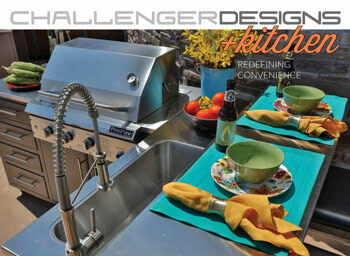 Enhance your indoor and outdoor living with our high-quality, lightweight, durable solutions. Spending quality time with friends and family is what drives us to create great products. Each one of our products is engineered to enhance your daily living experience. Whether you are working or playing, we’re committed to providing storage and entertainment solutions that are both extremely appealing and durable. Local manufacturing isn’t just a tagline — it’s a mission. We recognize the value of local job creation, community investment, and quality craftsmanship. 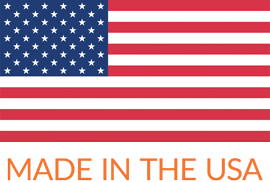 Manufacturing and sourcing quality materials stateside (50% aluminum comes from recycled material) is important to our customers and fundamental for our business. 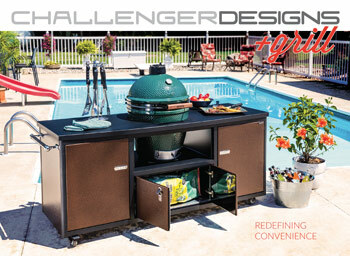 We have utilized our experience in design to create unique product lines that offer solutions for everyday living. You’ll find great organizing and entertaining solutions for your office, lab, home, garage, outdoor patio, as well as utility, transport, and commercial vehicles. In addition to our preconfigured products we specialize in creating custom designed solutions for your indoor or outdoor entertaining. We would be happy to talk with you or your contractor / architect to help. with all required information provided for the Limited Lifetime Warranty to be honored. 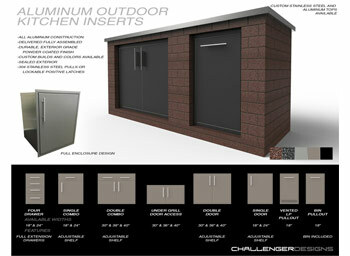 To submit a claim under warranty, contact your nearest Challenger Designs, LLC dealer or email warranty@challengerdesignsllc.com with the completed claim form, copy of dated sales receipt as proof of purchase, a picture clearly showing the defect, and another picture showing the entire unit. 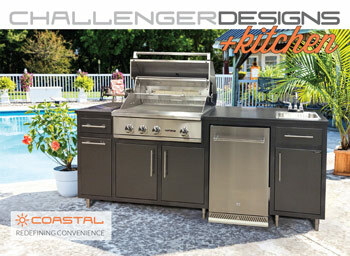 View or download the following product catalogs. Easily find what you want, anywhere in the country. Our consumer line is available in our Houzz gallery. Find a dealer near you – anywhere in the country.